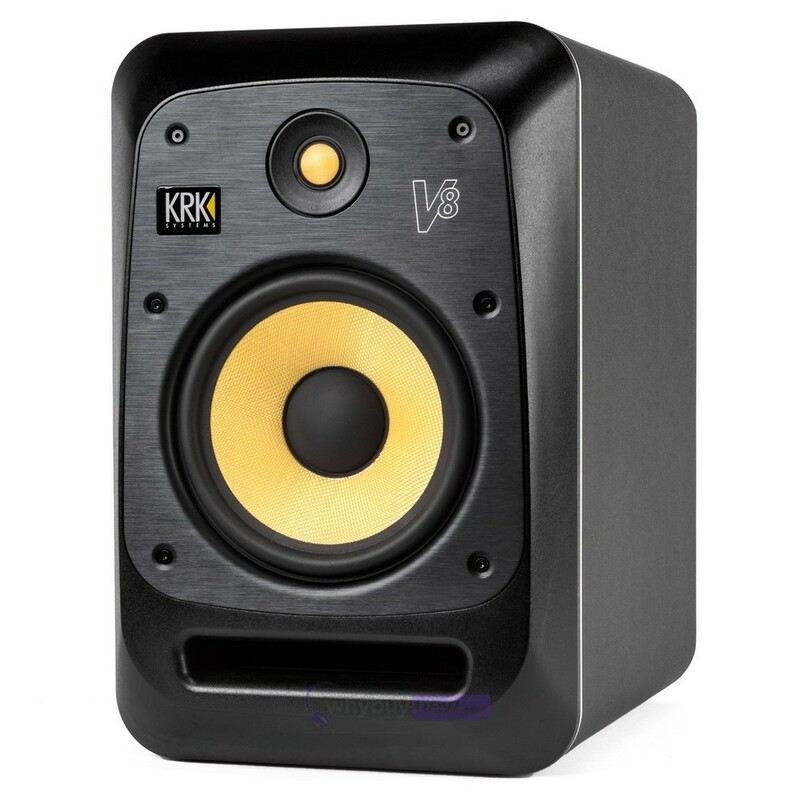 The V8S4 is an 8" two-way studio monitor speaker from the new KRK V-Series of full-range studio reference monitors. 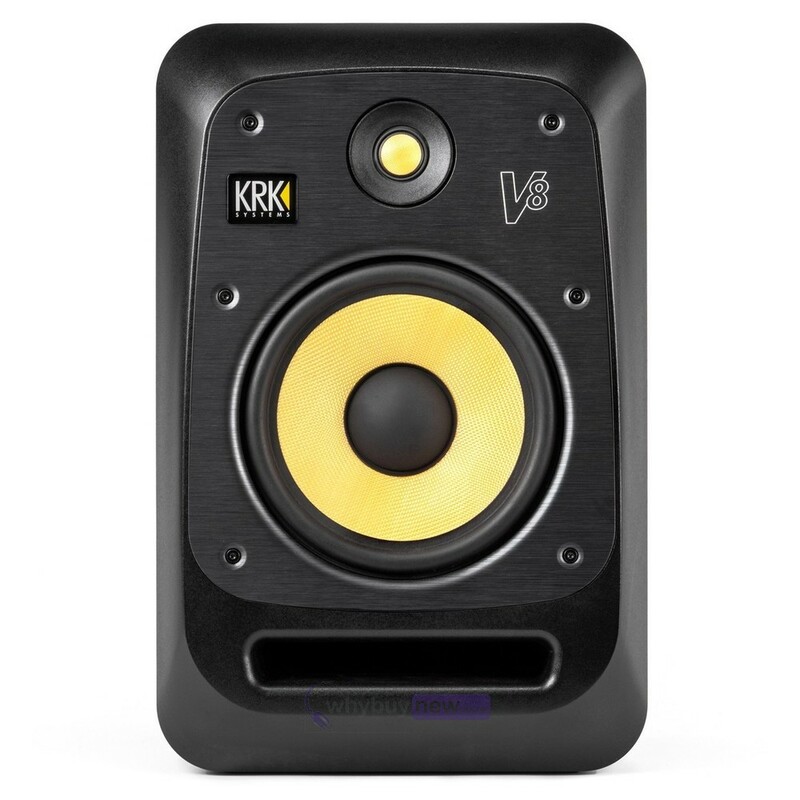 Designed for professional performance and accuracy for recording, mixing and mastering. 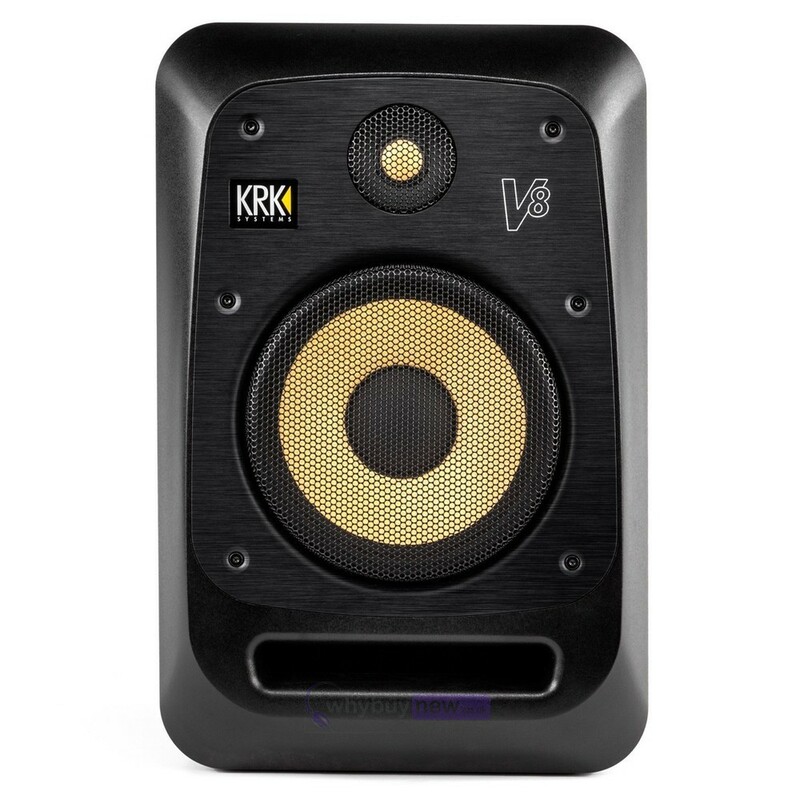 Featuring a 1" Kevlar tweeter and an 8" woven Kevlar woofer, this fantastic quality monitor is suitable for professional recording and broadcasting studios, engineers, producers and mixers. 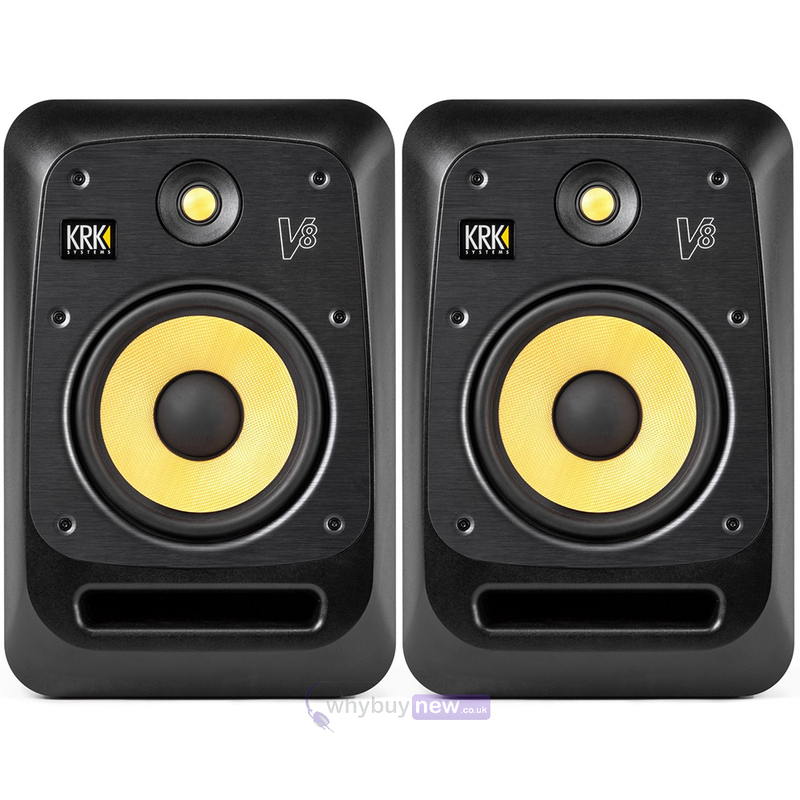 Using Kevlar for both the woofer and tweeter these KRK monitors give you extremely smooth midrange definition without colorization and pristine high-end with tight, controlled low-end as well as a wide sweet spot and beautiful imaging. 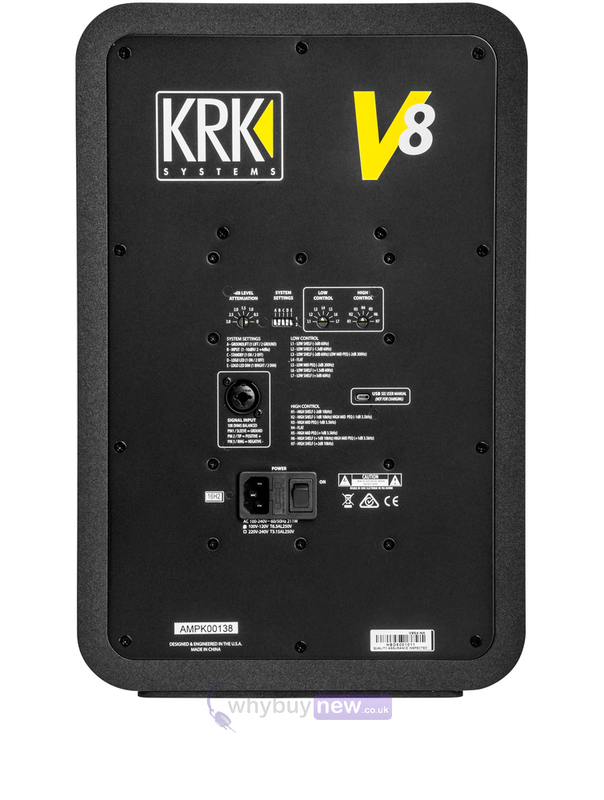 The 230W KRK designed, bi-amped Class-D amplifier delivers superior transient speed and up to 118 dB of SPL. 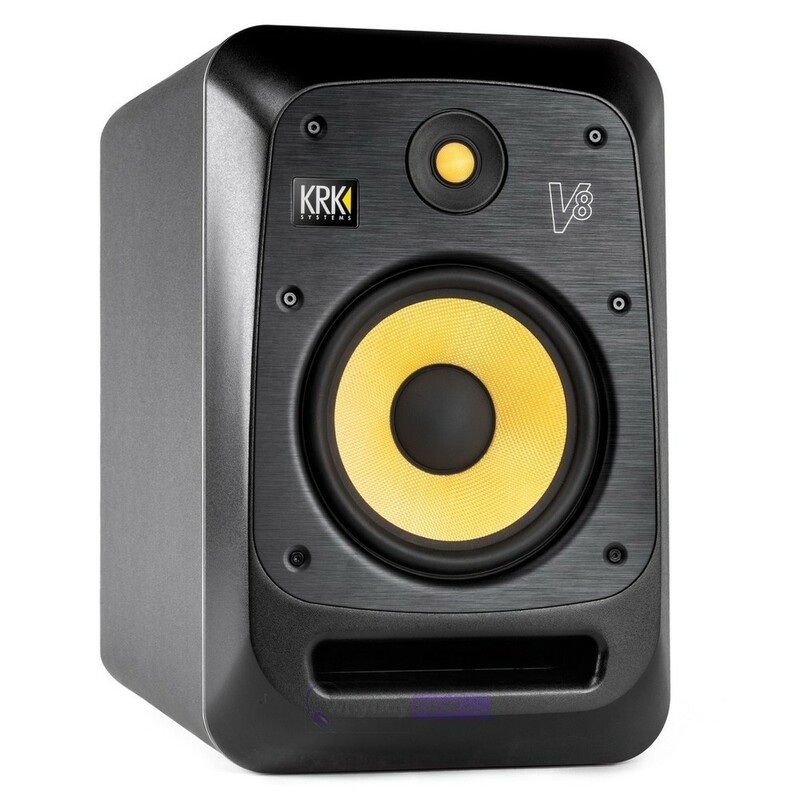 KRK´s optimized front-ported bass reflex enclosure design avoids boundary coupling to allow flexibility in room positioning. 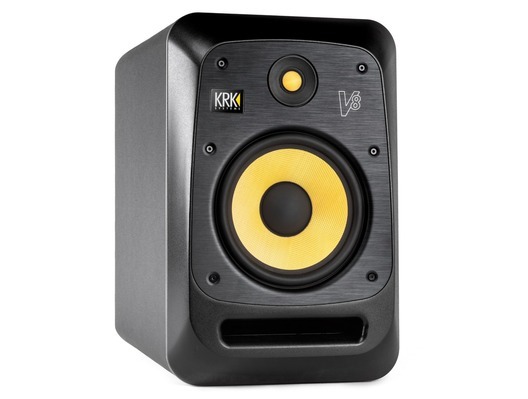 49 different DSP driven EQ presets deliver superior control for room/desk correction as well as personal taste. The solid aluminum front-baffle and EVA foam pad is like having a built in stabilizer that improves transient response and imaging.